Me SP & the Bean. 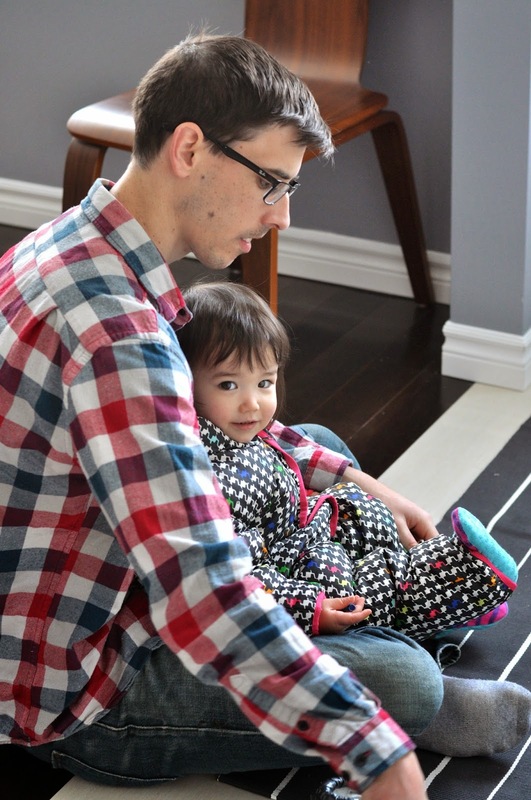 : mini michelin woman. that the second I let my guard down, it's going to snow again. 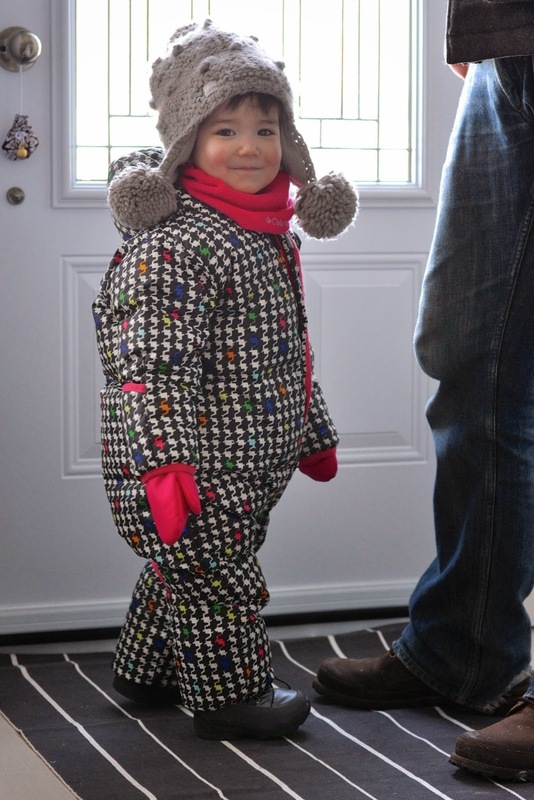 But in the event that spring is really here to stay, let there be a record of this nugget in her snowsuit. On a day that was finally warm enough to play outside. but this grey, solid as a rock, left over ice with bits of garbage stuck in it? Well let me at it. the little pony that (almost) can.